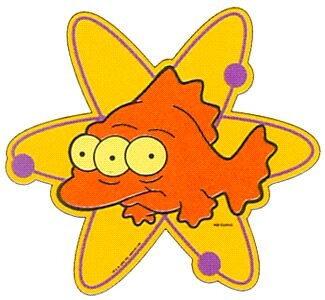 Lemon Lime Moon: "Uncontrollable Fisson"
There is 600 tons of melted fuel in Fukushima. The worst part is that they don't know where it went. They believe there are 3 massive globs of it eating away under the earth in Fukushima. Since this is the worst nuclear disaster in history no one knows how to handle it. This is all new territory and no, science cannot solve everything. The method for removing molten melted fuel has never been invented and they have no clue where to begin. The world's safety depends on finding and removing it safely as soon as possible, however. 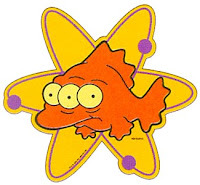 Another frightening fact is the continuing fission of the melted material under Fukushima. Uhhhhhh..uhhhhhh....no clue where to even begin on this one...that's insane. Yup. The arrogance of mankind boggles the mind. We mess with things we have no idea about really. Exactly. Every time I buy something simple like a can of salmon, I am actually taking a risk. Even though it may say it was caught or packed in a place that is not in these waters, I still cringe. Waters eventually connect together. so much of the oceans' currents meld together. For many many years scientists find contaminated water has flowed to other areas and has effected the wild life there. And fish is so good for us too. It is just awful what has been done to the world. I would eat fish daily if it were still pristine. It's not only this gigantic problem but they are also genetically modifying fish (salmon) but we are not allowed to know that because it will not be labeled. This is why the earth is being cleansed, which has already begun. We see the changes in the earth with unbelievable amounts of extreme weather, earthquakes, volcanic eruptions, etc., etc. - all part of geulah.